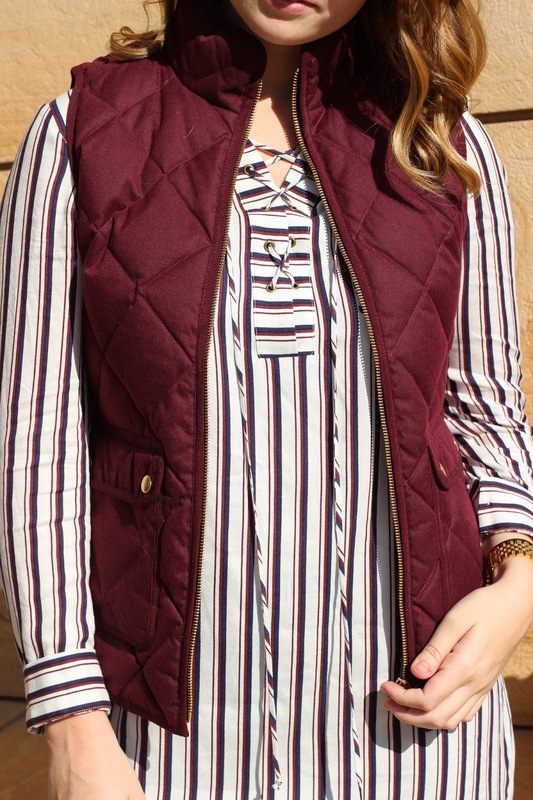 Is it officially vest season? I'd say it is pretty close! This is the only excursion vest I have bought this year and actually sold 3 of my old ones so I think that's fair. 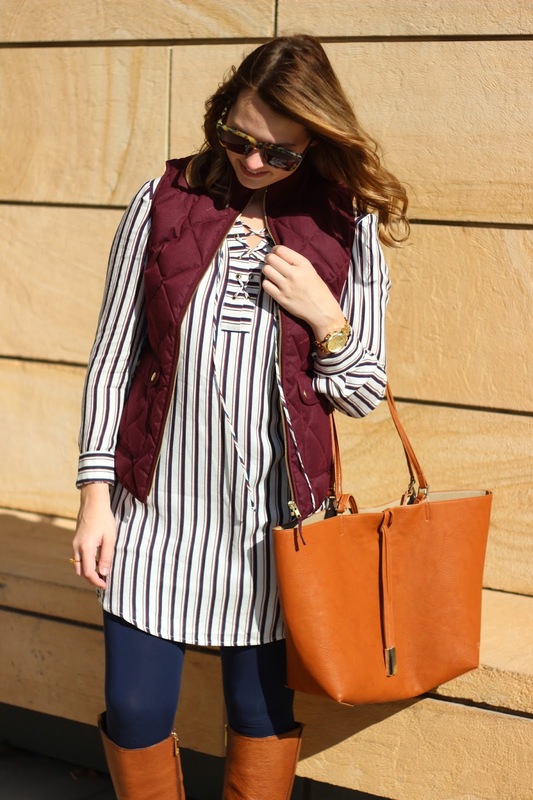 I have a serious addiction to these vest and right now they are 25% off and everything else at J.Crew with code 'shopnow'. If you don't already know, I am trying to save some money this week to go for future things like traveling or big purchases. Overall I am doing really well, except when J.Crew had a 30% off sale and I bought this Mini Skirt in Oxford Check and this Sailor Skirt in Double-Serge Wool. 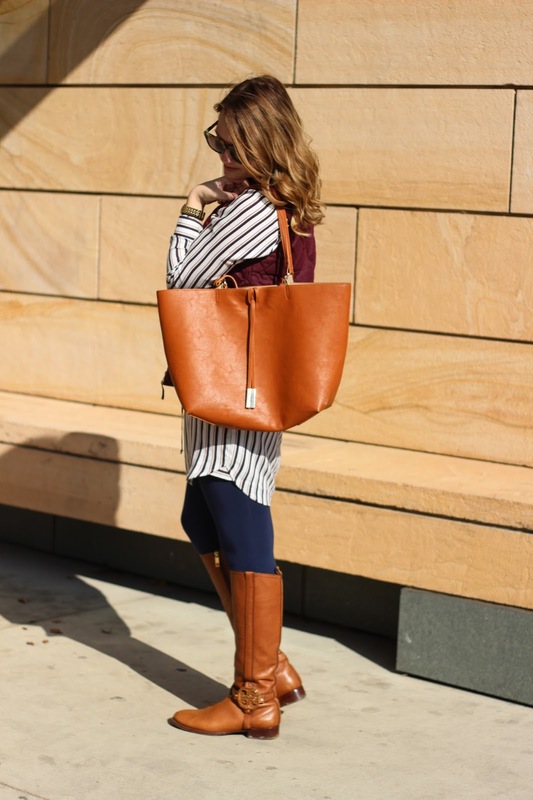 Both are going to fit right in with my current closet situation and will be great the this transition into winter. I will probably pair both with either the leggings I am currently wearing or a pair of tights! Anyways, I have been super busy with school lately, I have a huge Econ test tomorrow which has me stressed out. I am also trying to get a lot of my old clothes sold or donated so I can declutter my closet = my life, which is a very time consuming process. 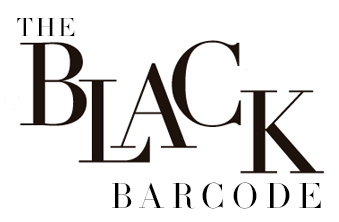 I look forward to their excursion vests each fall! Love this pretty wine color. 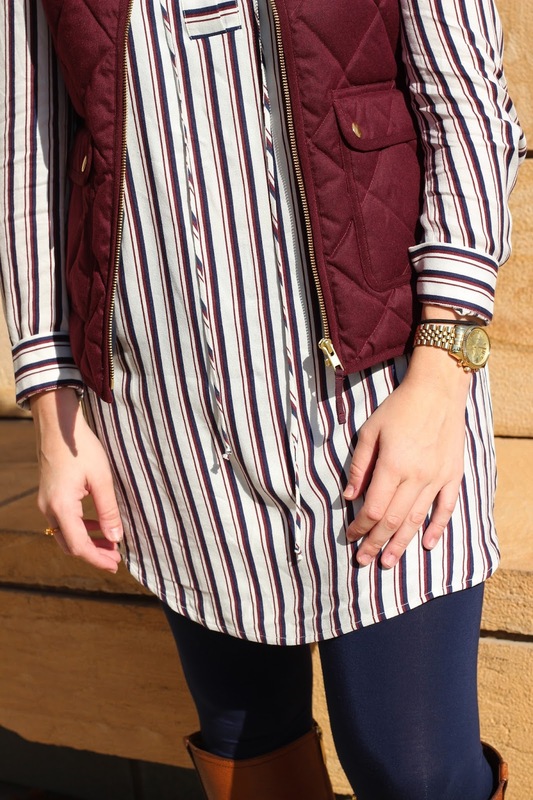 I love the vest paired with this top! Such a cute outfit! 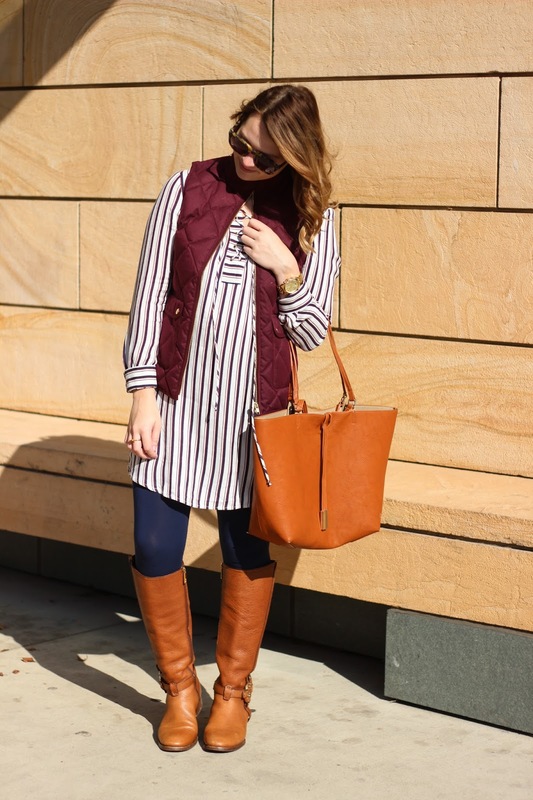 You styled this vest perfectly!! Love the color and texture so much!! 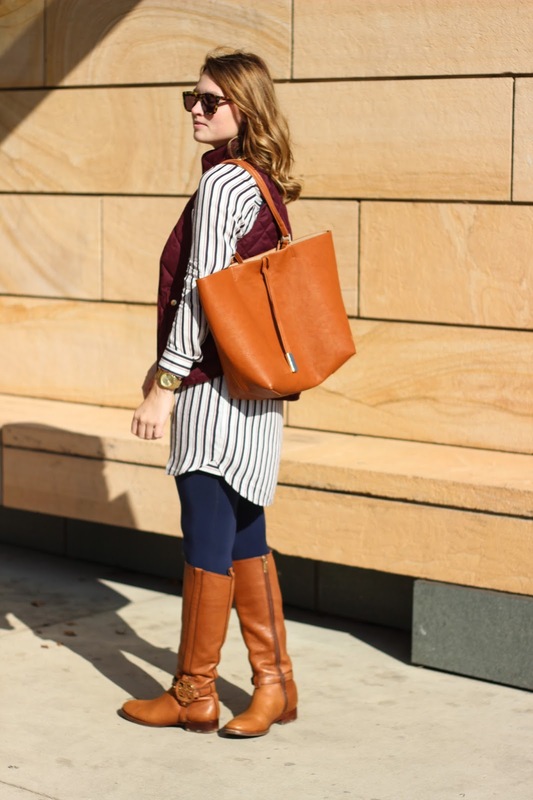 That bag is so luxurious and I love how you styled that vest with the striped top! Love this look! It'd be perfect for Thanksgiving! What a fun top! 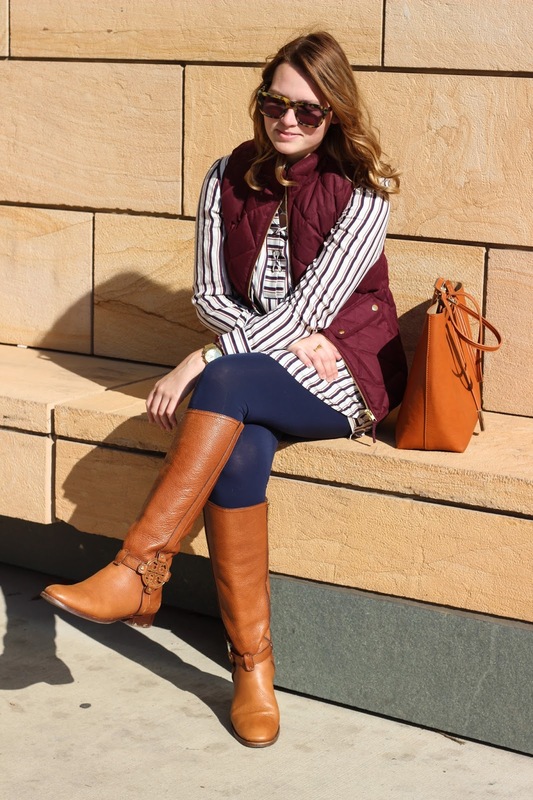 Love how you paired it with the colored vest! 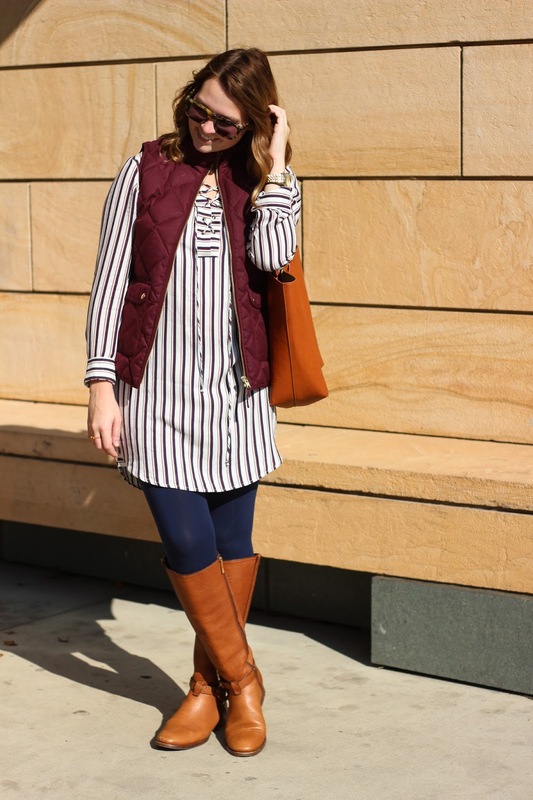 Cute vest & I also love to lace up tunic! Good luck on your Econ exam! 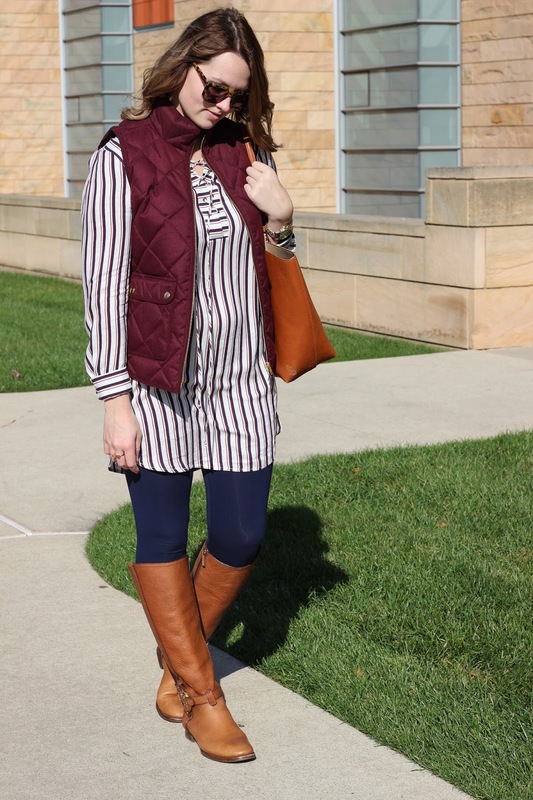 Love the color of that vest on you! 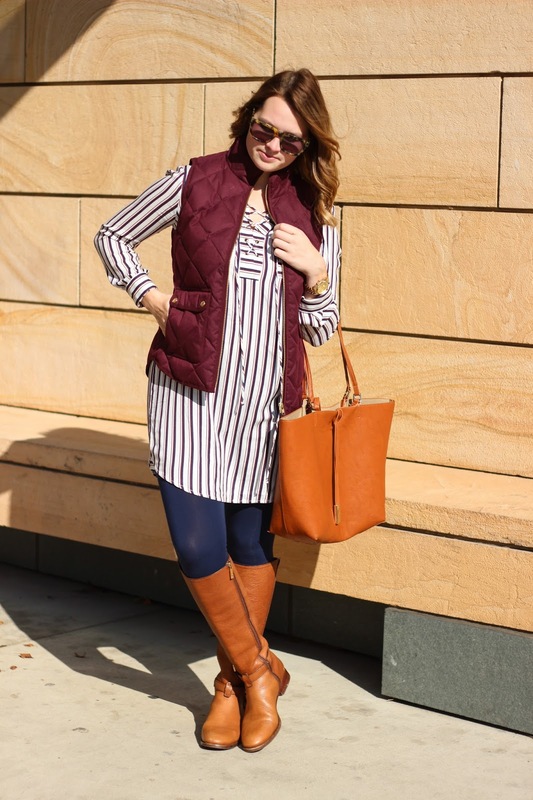 Your dress is so perfect for fall! I love it with these leggings too. At first I thought they were jeans. The navy looks great with it!